Home Dynamics 365 for Marketing Instructions on Sending a PowerMailChimp Email Blast in Dynamics CRM 6 people are discussing this now. There is a lot of great, highly detailed documentation available for all of the PowerPack add-ons, like PowerMailChimp. Once you’ve read it, you’ll be ready to send a PowerMailChimp email blast. With these step by step instructions, you’ll be creating a static marketing list for an existing campaign, populating the marketing list using Advanced Find, syncing the Marketing List to MailChimp, and finally, creating and sending a PowerMailChimp email blast to the marketing list. Hover pointer on Microsoft Dynamics CRM in Navigation Bar, and click on Marketing. Hover pointer on Marketing in Navigation Bar, and click on Marketing Lists. 9 .Click the plus sign for Campaigns. 10. Select the magnifying glass below the Name line. 11. Click Look Up More Records. 12. Find the appropriate Campaign in the list and put a check mark next to it. 13. Click Select, then click Add. 14. In the Confirm Addition box, leave “To the campaign and all undistributed campaign activities” selected and click Add. 15. Click the plus sign in the Members section. 16. In the Manage Members box, select Add using Advanced Find, and click Continue. 17. In the Manage Members window, under Use Saved View , select the Necessary View. 19. Select Add all the members returned by the search to the marketing list. 20. Click Add to Marketing List. 21. On the Marketing List page, make sure you’re on the Information form by clicking on the downward pointing arrow above the large bold name of the marketing list. 22. In the PowerMailChimp section of the page, click the Select MailChimp List button. 23. Select your master list (previously set up in MailChimp), and click OK.
24. Click the ellipses at the top of the Information page, and click Sync Now. 25. Click Close on the pop up window. 26. Hover pointer on Microsoft Dynamics CRM in Navigation Bar, and click PowerPack. 27. Hover pointer on PowerPack, scroll to PowerMailChimp Blast, and click. 29. Fill out the blast name, From Name, Subject, and Reply to Email, then click Save. 30. Click the Plus sign to the right of Associated Marketing Lists. 31. Check the desired Marketing List, click Select, then click Add. 32. Click Select MailChimp Template in the Email Contents section. 33. Select the desired template and click OK.
34. Click Save. You should now see a MailChimp Blast ID. 35. Click the ellipses, and click Send Now. And there you have it! The email blast has now been sent. Soon enough you won’t be needing these tips and tricks and you’ll be sending email blasts without instruction! Remember that you can always watch our webinars to see the PowerPacks in action! 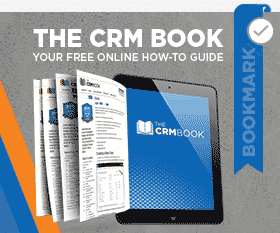 Keep it classy out there and as always… Happy CRM’ing! by Joe D365	June 9, 2014 6 people are discussing this now.